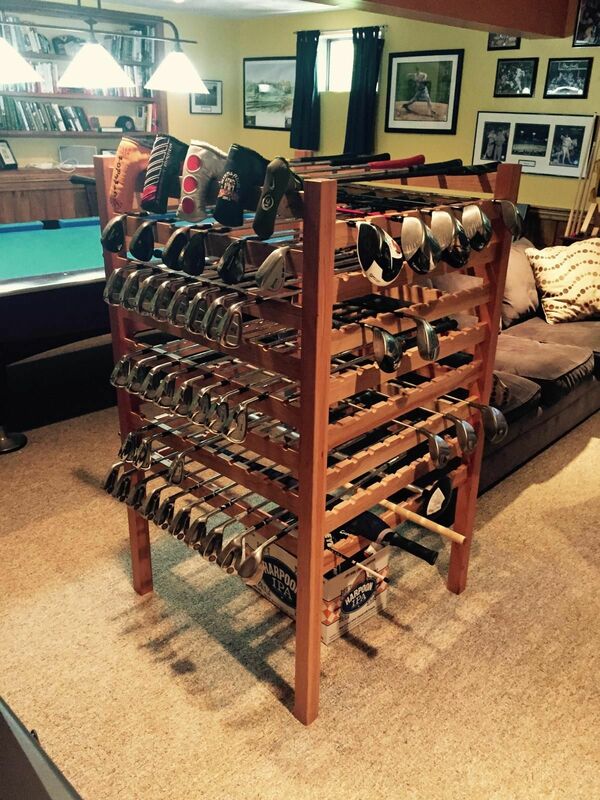 What to do with your golf club collection? Why not proudly display them! This solid cherry golf club display will hold up to 160 of your prized clubs. The satin polyurethane finish shows off the beautiful cherry grain. Dimensions are 31" wide x 31" deep x 54" high. 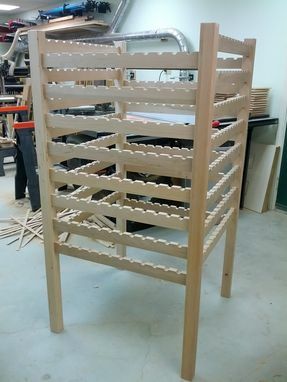 This rack is easily assembled by you with supplied screwdriver. Also available in other woods - just ask and we can give you a personalized quote. Doug was fantastic to work with and the finished product was absolutely beautiful! It was quite enjoyable and informative. 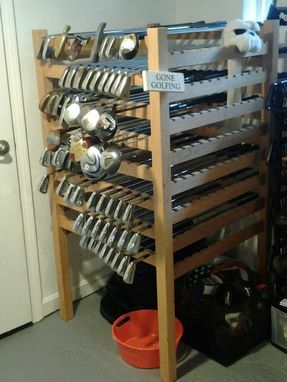 Doug put a lot of thought into my project to make it even better than I could have imagined. He communicated very well. I would go to him again for my next project!! !